We love missions and we love missionaries. 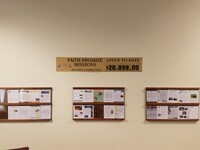 God has given us a great missions program through Faith Promise, and we hold an annual Mission's Conference each fall. We have seen thousands saved, churches established, and native people surrendering as pastors of their own church in their own countries. We meet our missionaries before we take them on for support and we receive a prayer letter throughout the year from each one serving on the foreign and home field. You will enjoy getting to know our missionaries personally, and then share the joy of watching God work in their families and ministries. This past October, we had a very successful Missions Conference. We surpassed our giving goal for the last fiscal year and made our goal for this year even higher! 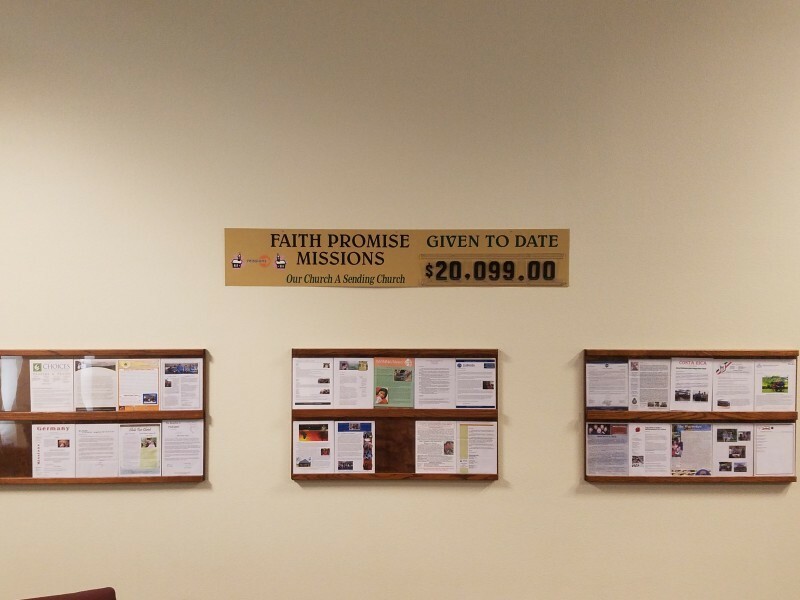 With the money given by faith, we were able to start supporting a new missionary going to Ireland. We are blessed to be able to not only spread the Word of God around our community, but around the whole world through our missionaries!